When someone experiences a trauma it can have a dramatic impact on their life and well-being long after the event has occurred. Trauma can cause mental, physical and emotional changes that can be very challenging to resolve. One of the most severe reactions to trauma is when individuals develop issues with complex post-traumatic stress disorder. People with complex PTSD may periodically have emotional flashbacks that are triggered by various things in their environment. This can happen because their memories of trauma are suppressed in their subconscious and certain images, sounds, smells, situations or people can remind them of the traumatic experience. They may immediately and without warning be taken back both emotionally and mentally to the moment of their trauma when they are triggered by something. Flashbacks can be problematic because they can interrupt daily life and cause difficult emotions to be brought up at unexpected times. Learning how to manage flashbacks is important for people living with complex PTSD so that they don’t interfere with their functioning. Recognizing triggers and learning strategies to handle emotional flashbacks is a major element in PTSD recovery. Someone with complex PTSD may not always be aware of when they are experiencing an emotional flashback. They may suddenly feel very angry, upset, desperate or afraid without understanding why. An emotional flashback causes the person to regress to the state of mind they were in when a trauma took place and they experience those same feelings all over again. It can sometimes be difficult to identify both a trigger and an emotional flashback because the individual may not even realize that the feelings they are having come from the past. They might feel like a true reaction to a present situation even if it seems like an exaggerated and irrational response. Emotional flashbacks can feel so intense that they take over the person’s experience of the present and send them into a different state of mind. Over time, people with complex PTSD can learn to identify when they are having an emotional flashback by certain signs. 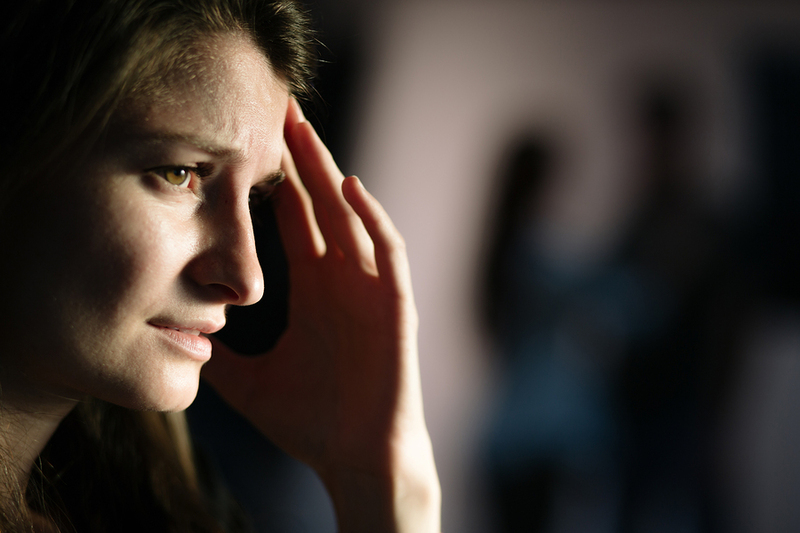 Feelings of being helpless and hopeless are often types of emotional flashbacks because they might have felt that there was no escape from their trauma. An extreme emotional reaction that doesn’t fit the situation may also be a clear sign of a flashback because it is bringing up feelings from the past. Patients in recovery for PTSD can learn how to identify their triggers as well with the help of a therapist. When you are having a flashback you can try to consider what about the particular situation reminds you of your trauma. After some time you will start to become familiar with what types of images, sounds or situations might trigger a flashback. Even though flashbacks are a reality for people with complex PTSD, they can learn how to take control of them when they occur and get back into the present. Once they understand when they are happening, how a certain trigger has caused it and know what steps to take to feel better they can minimize the impact of flashbacks on their daily life. It may take time to adjust to recognizing and resolving flashbacks but it will get easier the more that they work on it. One step to take may be to avoid certain triggers or prepare for them if you know they are a problem. If you can’t avoid a trigger then you should have a plan to deal with that particular trigger when it comes up. Always know that you have the skills and resources to cope with any situation and any feeling no matter how intense it may seem. When a flashback occurs, make sure to give yourself some time to work through it. You don’t have to expect it to be over immediately but set some time aside from your obligations so that you can resolve the feelings in a safe way. Self-care is very important for people with PTSD and addressing flashbacks and working through them can make them less of a powerful issue. As you are going through the flashback you can address the memory and let yourself feel the association while reminding yourself that it took place in the past. You can then tell yourself and your inner child that you are safe and these issues are no longer a threat. If you are having any trouble moving through the flashback then call someone for help such as a friend, family member or therapist. Even though flashbacks can be an unwelcome interruption to your normal life, it is possible to get accustomed to understanding why they happen and take steps to resolve them. Recovery from PTSD often focuses on processing flashbacks so that they don’t interfere with daily experiences.